I was primarily accused of corporal punishment, and I knew the incident that was being misconstrued. After a 3rd grade student pushed a classmate out of the way to get to her cubby, I knelt next to her as she sat. As I spoke to her, I playacted reaching past her, modeling that she did not have to push her classmates out of the way to get to her things. I followed this with a conversation to draw out other strategies for getting to her cubby without the possibility of hurting others: “I could say ‘excuse me,’” she said. She went off to her work and I to mine. I felt pretty good about the interaction in that I heard her step back and reflect on her actions. THREE FACTS: 1) Your para was a rat and was probably in cahoots with your principal. 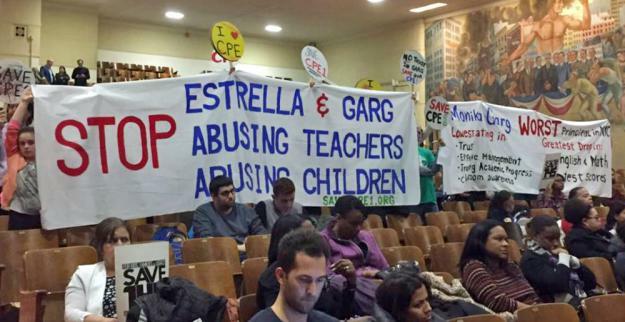 2) Your case shows that the UFT does not care one bit about supporting teachers in need. 3) Working for the DOE is all about watching your back and not trusting anyone. There is absolutely no joy left in teaching in NYC. I have read about your case in the NYC teacher blogs. I am so sorry you went through what you did. If the UFT wants us to stay on as paying dues members, they must step to the plate and show teachers like you the support you need in a time of crisis. Lastly, I am glad you are cleared and back to work!